So, great news, and bad news. Great news: Congratulations to my fellow chapter members Jennifer Delamere and Sabrina Jeffries for finaling in the RITAs, the most prestigious of the romance writers' awards, presented each year by the RWA! We'll find out if they win or not later, but to have made it thus far, yay! This is Jennifer's debut novel, by the by, which just makes this twice the accomplishment. 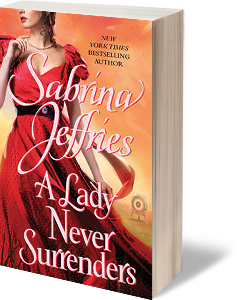 If you like historical romances, you can read up about Jennifer's book here, on her blog, and Sabrina's book here, on her site. Not-so-great news: the (assumed) demise of another computer. I'll try to keep current on blog posts, but if posts are sporadic for a couple of weeks, that's why. Thank goodness it happened now, at least, so I can put my tax refund towards it (and yay for having filed taxes this past weekend, meaning the refund should be it on its way). Also, remember to back up your work. Triple thank-goodness I'd just made a recent backup of my manuscript, and hadn't made any changes since sending it off for another beta! Phew! Lost some photos, but the manuscript's safe. Cross your fingers and wish me luck in getting a good deal on a new computer? Oh, and go make a backup copy of your manuscript on a thumb drive or something, right now. Trust me on this. You might be glad you did. Edit: The computer is not so dead as assumed! Hurrah! We'll see if I can't clean it and get it back up to 100%. At the very least, I managed to transfer over the photos into the dropbox, and got the most recent editions of the WIPs extra-backed-up just in case. This is good, because it means I haven't lost about 10.5K of the rough draft of the fantasy romance (sounds like a lot, but the rough draft is very, very rough anywho and will need much editing/rewriting before seeing the light of day).